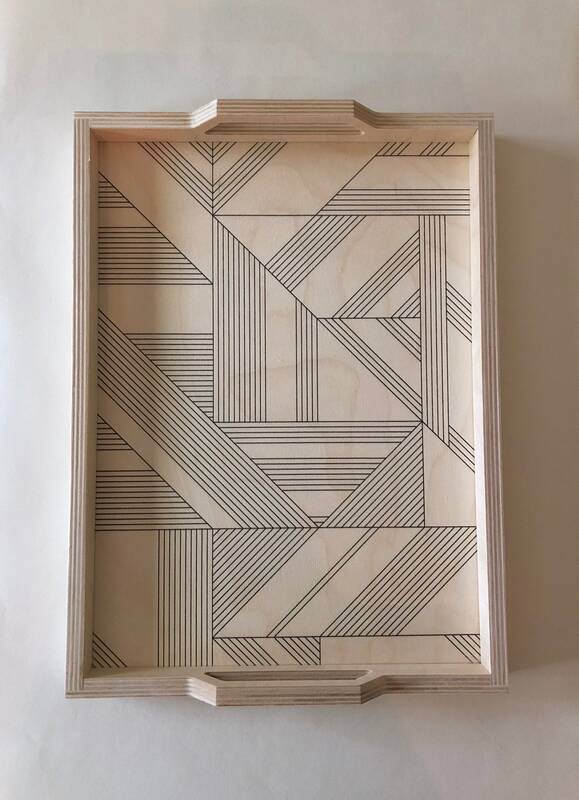 Our large birchwood serving tray with sides and handles is a wonderfully unique wood tray. 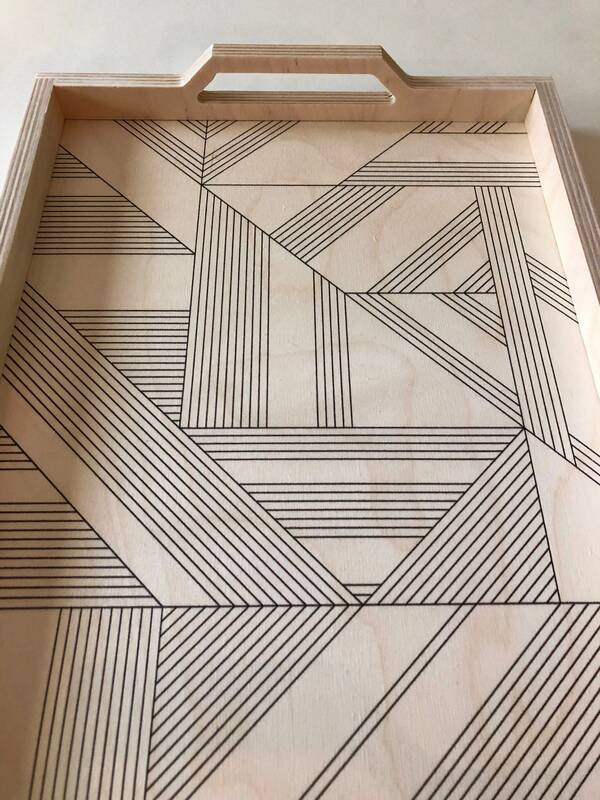 The bottom is printed with our original DECO design on to beautiful light toned birchwood. 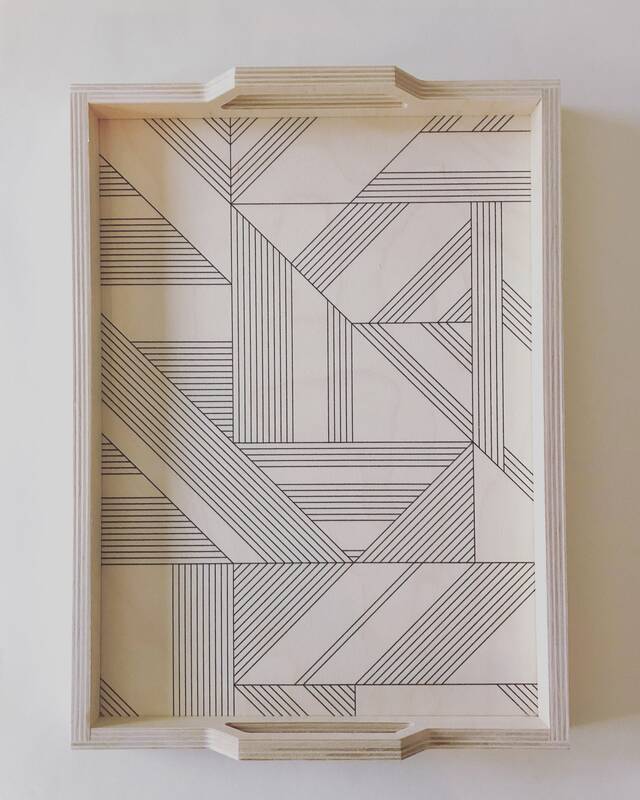 The wood grain and geometric design compliment one another with a thoughtful balance of contrast. The sides give the tray a low profile while adding to the functionality. The trapezoid handles give the tray a smooth modern overall appearance. Measures: 16" x 11.75" x 1.25"
Care: Quickly wipe up spills. Pat dry. Never saturate or submerge. Spot clean with damp cloth. Treated with mineral oil/cutting board oil. Reapply any food safe oil periodically to maintain water resistance.